When we hear of bank closures, we oftentimes worry about our own deposits. 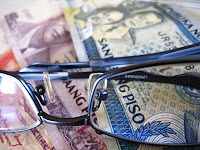 It’s not too long ago when Banco Filipino and Urban Bank both closed down, leaving their depositors worried about their money. You may have seen some of those depositors interviewed by TV reporters. They had the look of anxiety and anger on their faces. They were probably worried about getting their money back. It would indeed be troublesome to experience the uncertainty of not knowing if and when you’re going to get back the money you’ve worked so hard to earn and save. They were also angry probably to those running the banks for letting them down. It was a trust they didn’t expect would prove unworthy. But if you’ve been to any bank at all, you probably noticed the sign saying “Maximum Deposit Insurance P500,000”. You would think that your money is safe up to that amount. So why worry about bank closures at all if you have less than 500,000 in the bank? Turns out, you’re deposit is indeed safe up to 500,000 pesos. That’s the maximum amount insured by the Philippine Deposit Insurance Corporation (PDIC). And since all banks in the Philippines are required by law to become a member of the PDIC, all deposits in Philippine banks have this insurance coverage. A problem may arise if you have more than this amount in your deposit accounts. In that case, the excess will be paid during the liquidation of the bank’s assets. This would not guarantee payment since there may be competing claims to the bank’s assets during liquidation. If you have started to acquire a significant amount of cash more than 500,000 pesos, what do you do? If you’re worried about bank closures, one thing you can do is to divide your deposits among different banks. This works because deposits in different banks are insured with the PDIC differently. It wouldn’t work, however, to just have multiple accounts in a single bank. The content of these accounts will be added together with the maximum insurance coverage applied to the total amount. You should take note that investment products of banks are excluded from the insurance coverage. Bonds, securities and trust accounts are examples of bank investment products which are not insured by the PDIC. If you’re lucky enough to own millions of pesos, however, the option of only having 500,000 pesos in one bank may not be possible. There may just not be enough banks to hold your money if you limit your deposit per bank. In that case, you may have a problem with deposit insurance coverage but that is a problem you’re lucky to have. I mean, not all people own that much money so having insurance coverage problem because you have too much cash accumulated is not that bad at all. One option is to invest your money someplace else (not with banks). There are many investment options available if you have the money and the right strategy. If you are banking with stable banks with good financial records however, closure is not too much of a worry. Some of these banks have been doing business for more than a century. Although that doesn’t mean they can’t do something stupid and go bankrupt, they’re performance from years of experience tells us it’s less likely to happen. With all that said, it still helps to know what the maximum deposit insurance coverage of 500,000 pesos mean. It never hurts to be informed.